So, what is e-discovery? 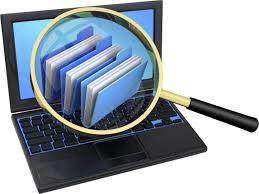 Electronic discovery is the digital (versus physical image of printed document) aspect of identifying, collecting and producing electronically stored information (ESI) in your organizations response to a request for production in a law suit or investigation. This includes, but isn’t limited to documents, email, presentations, databases, voicemail, audio and video files and social media. Electronic discovery (ediscovery) refers to discovery in litigation or government investigations which deals with the exchange of information in electronic format (often referred to as electronically stored information or ESI). These data are subject to local rules and agreed-upon processes, and are often reviewed for privilege and relevance before being turned over to opposing counsel. People – people are assigned to roles, clearly understand what they are accountable for and know what process to follow, tools to use and policy they are complying with. Also the ongoing education of staff related to responsibilities. Process – the documented steps for eDiscovery activities. Clearly defined ownership, steps and outcomes for success. Tools – tools required to find and hold the information in question. Given sheer size of organizations today, the amount of information they generate, format and content silos its important this process is automated. For toolsets a recent Gartner study is very insightful – Gartner – Magic Quadrant for E-Discovery Software. This report is available for download from several vender sites for free.